Class 501 EMU’s were introduced in 1957 for the North London Line services out of Euston and Broad Street. They were built as 3 car units and in the beginning could only operate with a 4th rail system as the North London Line retained this until 1971 when it was converted to 3rd rail and the 501’s were converted also. During the 1970’s they also had the compartments taken out and replaced then with normal saloon seating which reduced the seating by 16. 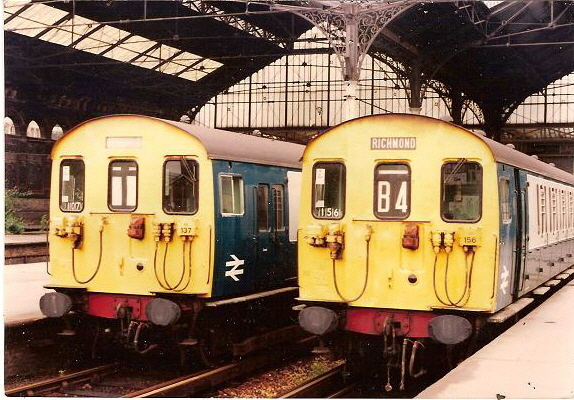 They worked up until 1985 when they were replaced with Class 313 EMU’s. The 501’s were simple but hard working and very reliable units which lead a efficient (and unglamorous) life..